Do you want to shop on Amazon? Amazon is the largest e-commerce marketplace and you can shop almost anything! From electronics, books, beauty, apparel, home items, baby products, brands, you can find everything on Amazon. If you have never shopped online on Amazon before, this shopping tutorial will guide you! Follow the easy steps and start shopping on Amazon.com. Amazon UK and Amazon Japan and send your purchases to our overseas warehouses! 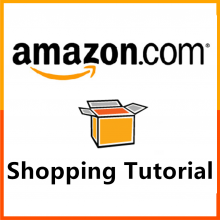 All Amazon online shops are built similarly, with this tutorial you will be able to shop at any Amazon! Step 1 : Create an Amazon account When you start on Amazon.com you have to create an account to shop online. Press the signup button on the right side. 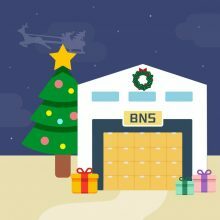 If you want to browse first and see local prices and shipping fees (often free when shipping locally), press the left button to change the destination by entering our US..
Dear future customers, to fully enjoy our international transshipment service, please remember to verify your email address after registering at Buyandship! The email might have landed in the spam folder so make sure you to check there! After you have verified your account, the worldwide shopping for deals, brands, and discounts can begin! Happy shopping! 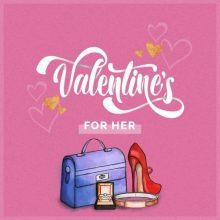 Valentine’s Day is on the 14 of February and we want to help you to purchase this year’s Valentine’s Gift ‘in time’ 😉 and have collected the best gifts for her in our Valentine’s Gift Guide below. Simply spend a few minutes and shop online, send the purchase to our closest oversea warehouse, and get your Valentine’s Gift in time for Valentine’s day! Your beloved woman will love the gifts we have chosen and will love you even more! ► Disney Japan Valentine’s Collection You will not miss out on our favorite Disney characters Mickey & Minnie、Winnie The Pooh, and Chip & Dale! The Valentine’s Day collection includes dolls, cups or bowls! ► LINE Japan USB Humidifier What a cute addition to every office desk! The popular LINE Friends Character comes on a little USB humidifier, simply fill it with water, attach it to a USB port and go! 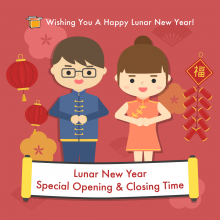 ►..
Dear Buyandship members, Lunar New Year is around the corner and many businesses throughout Asia have special opening and closing times during that period. Below we have listed our closing and re-opening times after the lunar new year holidays. Our US and UK warehouses are not affected by the holidays and will operate as usual. The Hong Kong warehouse operates the last ship-out on February 4th at 12:00 pm (HK Time). The Hong Kong Warehouse closes on February 4th at 5 pm and stays closed from February 5th – 7th. And will be returning back to service on the 8th of February. The Taiwan Warehouse will be closed from the 2nd – 10th of February. And will resume operation on 11th of February. The Japan Warehouse will be closed from the 4th – 6th. And will resume operation on 8th of February. 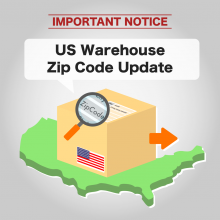 The China Warehouse will be closed from the..
Dear Buyandship members, Please note that the US warehouse zip code has changed from 97217-1009 to 97217-9600, but on many websites/online shops you can still use the old zip code. For any future parcels with destination US warehouse, you can try to fill in the old zip code 97217-1009 and if the website doesn’t accept it, use the new zip code 97217-9600. For anyone who has just recently used our US warehouse address to send a parcel, don’t worry, it will still reach our warehouse since many websites allow both/the old zip code address as well. 6 Gifts Any Fitness-Loving Women Will Love! It’s time to celebrate fit women! Whether you are a fan of sweating it out in Spin class or loves to “Om” your way through a serenity-promoting yoga session, it’s time to make the most of your workout with a little extra swag with these gadgets! Or are you looking for a present for your fitness-loving friend? Having the right equipment on hand will help her ace a tough workout and stay stylish through even the most challenging classes. Read on to discover the top gifts that any active person will flip for! Brand New Sneaks Help yourself to go the extra mile with a pair of lightweight sneakers that offer function and fashion in one sleek design. The perfect pair will seamlessly take her from the gym to brunch and beyond. Make sure to take into account the type of activity you enjoy the most, as cross-training requires a..
We can’t believe another year has passed! It feels like it hasn’t been that long ago since everyone in the world was looking forward to shopping the best online sales for Thanksgiving, Black Friday and Cyber Monday! In fact, “Thanksgiving”, and the following days, Black Friday and Cyber Monday are big celebration days in the United States and will make the online shopping society go crazy. It feels like the whole internet is on sale with discounts of up to 70% or more! You think the discounts only apply to American online shops? 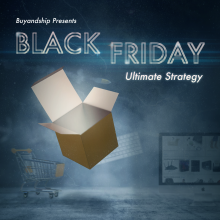 All global online stores, including the United Kingdom, Japan, and other places will participate in the Black Friday sales, so mark this day (23.11.2018) in your calendars, and shop everything from American and Japanese brands to British brands and home appliances! 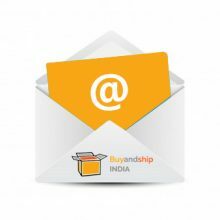 And if overseas online shops only offer national shipping or high shipping fees to India, Buyandship..
To ensure the parcels will be delivered to our members more efficient and quickly, we are going to update the storage days at our Hong Kong Warehouse on 12th Nov. 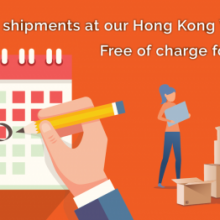 When parcels arrive at the Hong Kong Warehouse, they can be stored free of charge for 14 days. After 14 days a storage fee of $1 USD per day applies and we reserve the right to discard the parcel after 30 days, without further notice. Please kindly handle the consolidated parcels before the disposal deadline.